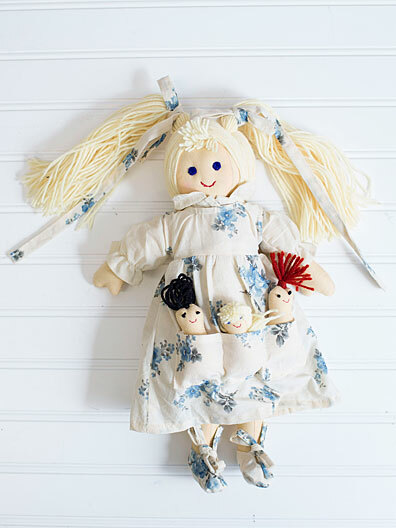 Old-fashioned and oh so adorable, every little girl needs her own authentic rag doll! Shy Rose is BFF ready and comes with three tiny detachable babies, sweetly snuggled in Momma's pocket dress. 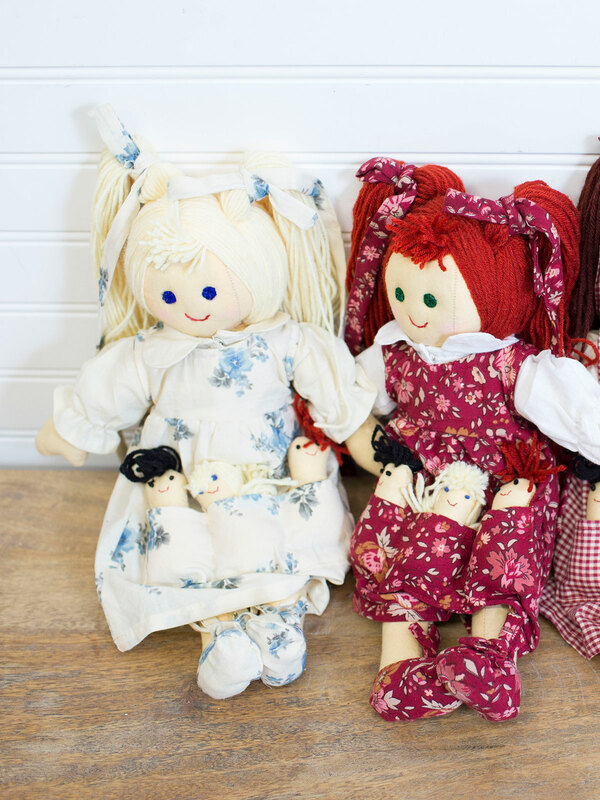 These dolls are absolutely adorable and very well made. I bought it for a present, and the recipient loved it! 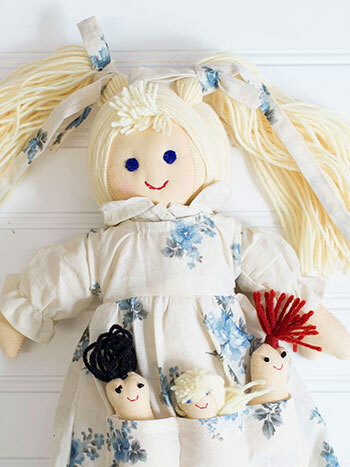 This doll is for my niece who is blond and will turn 1 in July.. I love it because it includes three baby dolls in the dolls apron who are the same size. She can play with the doll and think of her aunt, uncle and other aunt who are triplets. 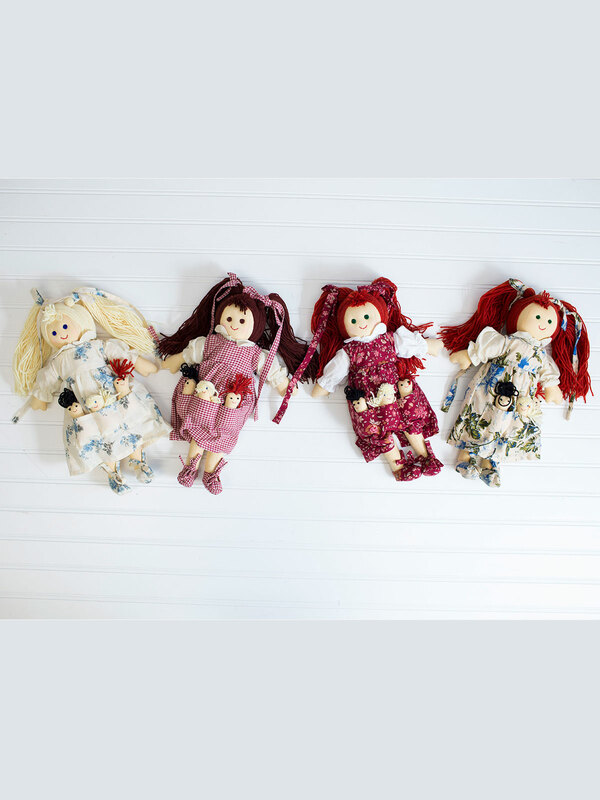 It is a rare find to fin a multi birth doll or one that can pretend to be as one is now able to get dolls of various culture. Thank you Aprill. I only wish I had this doll as a child but I do now have it for my niece. It is soft and safe.